It’s the first week of a new semester and I’m preparing for my PSY303 Experimental Social Psychology class. I’ve written extensively in the past about teaching such a course. As I wind down (or wind up), I’m attempting to re-examine what, how, and why I teach each of my courses. At the end of this week I’ll password protect blog posts entitled “Confessions” as I use them within my PSY303 class to develop student critical thinking and writing. Contact me if you’d like reading permission to view or participate in this project. Confession #2: I just now renewed my SPN donation for 2016 and 2017:) Thank you SPN for all you do. I invite former students (e.g. Deana Julka, Cathy Carnot-Bond,Mark Klinger, Jennifer Welbourne, Pam Propsom, and Terry Kott) and social psychologists (that’s you Tara J. Schmidt and Denise Guastello:)) among many others) to share with me their experiences as social psychologists or who draw upon social psychological principles in their lives (like you Mike Schwerin and Michelle Braun). To which I add, amen! Rudyard Kipling warned us of how dogs can capture your heart! Do dogs match their owners in physical appearance? in personality? There is an interesting body of research dealing with these questions. Here is one citation. Here is another entire article (Download Roy). Under what circumstances does pet ownership reduce stress? increase it? Why in the world did I spend $250 tonight on pet treats? Perhaps I still am affected by my first reading of Argos‘ blind enduring faith. Robin, the patient gentle giant, knows. These might be questions to give my Introductory Psychology students to encourage them to conduct a scholarly literature review. Perhaps in the process I’ll teach them about Evernote, Diigo, Delicious, Zotero, and Google Scholar and have them help me compare the strengths and weaknesses of these tools in addition to comparing the kinds (and quality) of answers they get using Internet search engines versus library data bases. 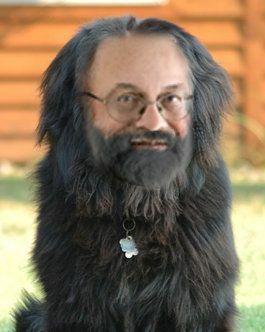 Here is some anecdotal evidence provided by one of my playful students that owners like me (though there is a debate between Robin and me as to who is the owner) may start looking like their dogs! 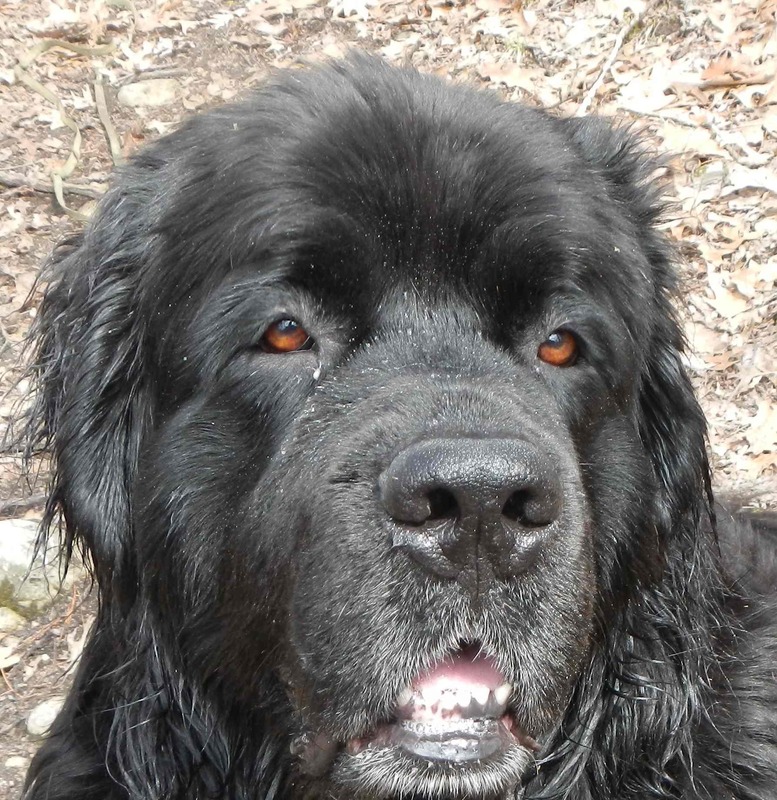 What was the name of the Newf who accompanied Lewis and Clark? Answer is here if you fail to find out—and even if you do.